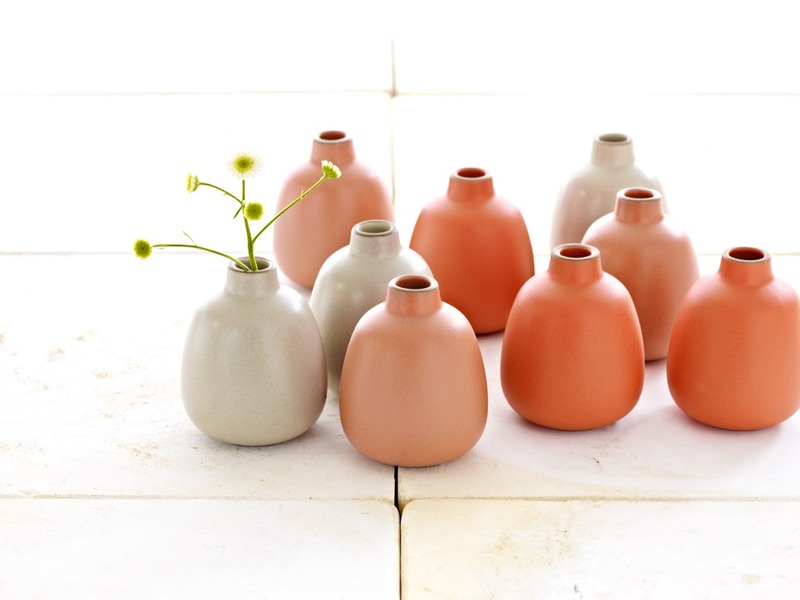 I was in the Heath Ceramics shop in Los Angeles this past weekend, borrowing a few pieces for a photo shoot, and I spotted their lovely new Summer Collection, a limited-edition series of new colors and items available only through October 1st. The color palette—California Poppy, Grapefruit, and Birch—goes nicely with Heath's signature exposed clay, which peeks through at the rim or bases of bowls, vases, and cork-topped containers. 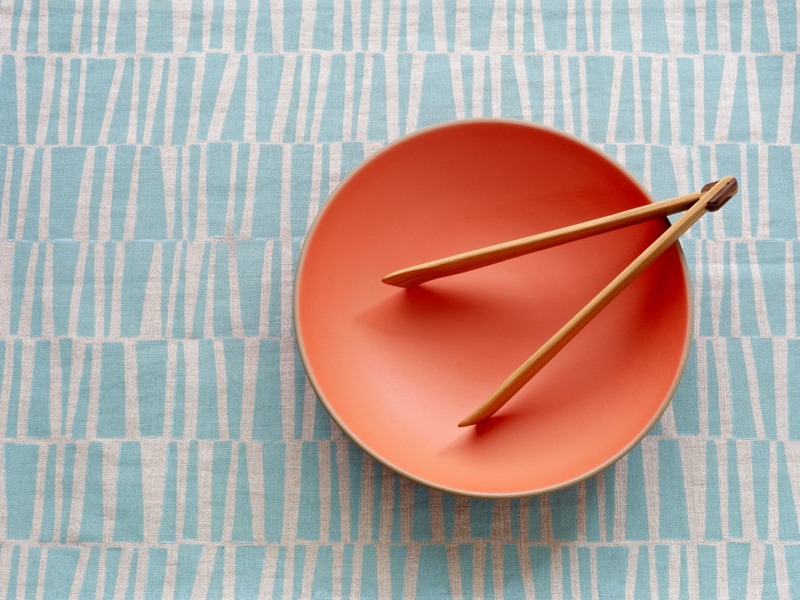 The classic Heath shallow salad bowl gets a fresh look in Poppy, a limited-edition Summer Collection 2012 color. 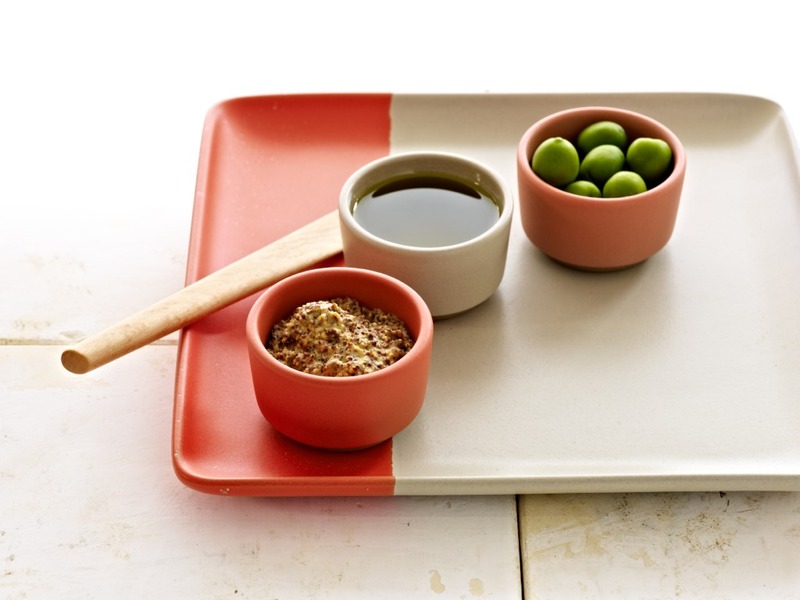 A two-tone tray in Poppy-dipped Birch is the perfect backdrop for a trio of condiment bowls in poppy, birch, and grapefruit. This Desk Set, which retails for $185, includes two containers with screenprinted cork lids, a small bowl, and a Wood Whale, designed by Eric Pfeiffer at the Utility Collective, and handcrafted in Michigan using reclaimed timbers. I asked Heath co-owner and creative director Catherine Bailey what inspired the colors and she replied: "We are always exploring and experimenting with color, so when it comes time to design the seasonal collection we see what feels right for the season. This year we started playing around with oranges we had designed in the past, but wanted less red, saturated, but with a little bit of a grey feel. All the colors were developed together so that the resulting palette would have a singular expression. The grapefruit color keeps the palette from feeling retro, and adding the brown clay to the palette ties it to Heath's past." 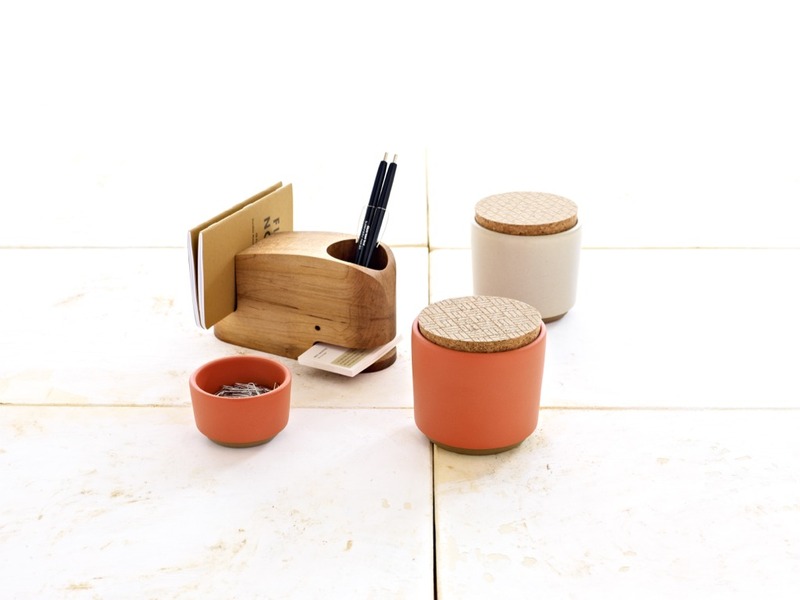 In addition to the new colors, the company premiered a few new pieces, including desk accessories (containers with screenprinted tops) and new condiment bowls. The ceramic tumblers have been out a few seasons, but look fresh in these new hues—especially when they're set atop the hip two-tone tray. I queried Bailey about how they arrived at the new line of desk accessories. "We love the highly functional nature of our vessels, and we love it even more when they have multiple uses," she said. "The desk set idea arrived organically. We had the idea to screen a print on the cork top, and once we saw the patterned tops with the ceramic bottom of our container shape, the object just felt like it had a life beyond the kitchen. It felt like it should live out on display, on a desk or table. We also love Eric Pfeiffer's whale and thought it added the perfect little bit of humor to our vessel collection and rounded out our little set." You can check out the full line online here.